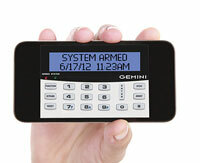 To remotely access your “My Remote Keypad” through your web browser click here. To remotely access your “iBridge zRemote Module” through your web browser click here. To remotely access your “Starlink Connect” through your web browser click here.